Looking for a place to beat the heat this summer? 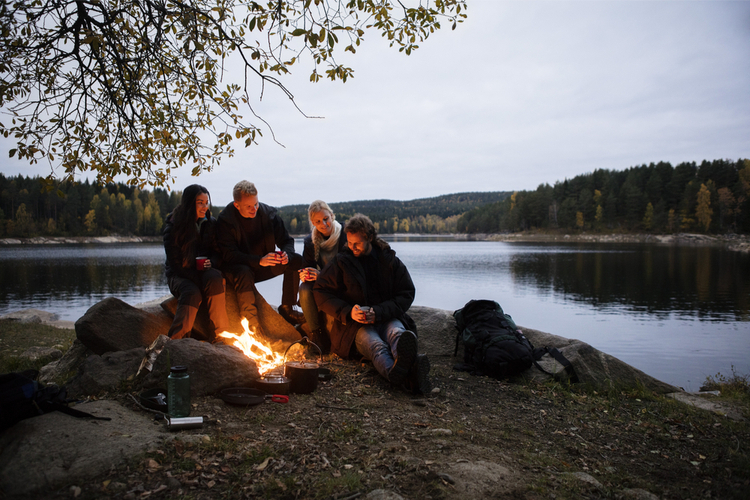 These 10 campgrounds offer cool temperatures even in the peak heat of summer. 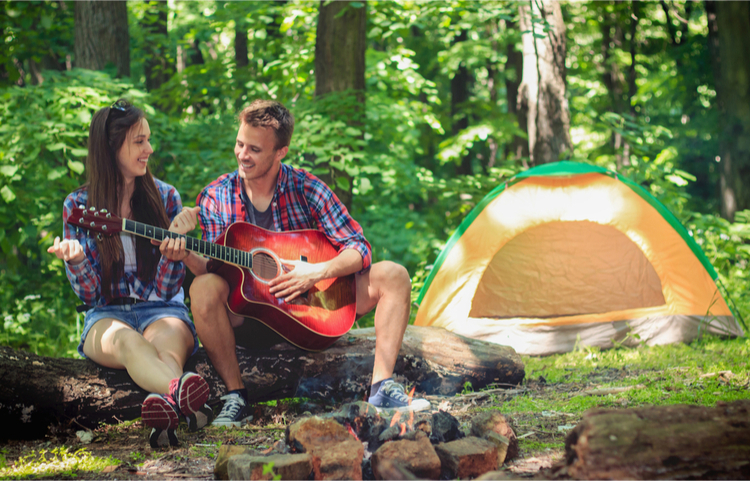 It’s sweltering out, and the air conditioning is beckoning, but you’re longing to get away on just one more camping trip of the summer. But where to go that’s not going to bake you to a crisp? This round-up of cool (literally) places to camp for those hot dog-days of summer won’t leave you sweating as you enjoy the outdoors. 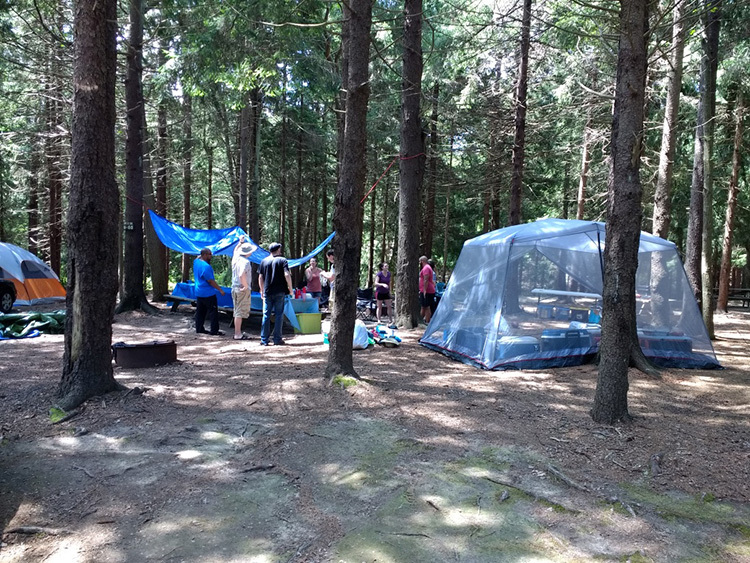 The criteria we chose: each campground recommended below had to offer some sort of respite from the heat, whether that be in the form of a body of water, high elevation, or temperate forest. Each also had to be a destination you’d actually want to visit, with plenty of adjacent outdoor recreation opportunities nearby. Here are our top 10 choices for campers looking to beat the heat this summer and camp where it’s always cool. 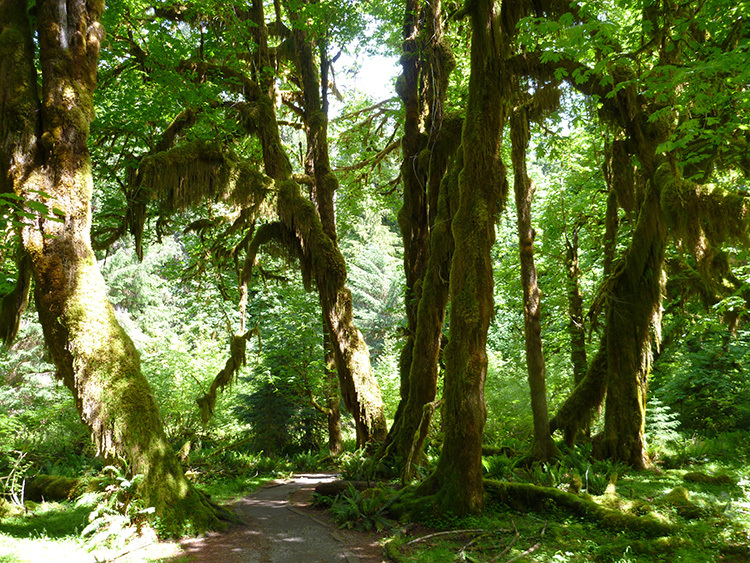 At this campground, located in the heart of Olympic National Park, you’ll be surrounded by moss and old-growth forest, providing a canopy of shade, making Hoh Campground the ultimate escape from the August heat found elsewhere across the country. And if you do want to venture out of your rainforest jungle, the coastal beaches of the Olympic Peninsula are only a short drive away. Bonus: Those beaches are likely to be cool and breezy. A summer camping pick in Nevada? Yep! 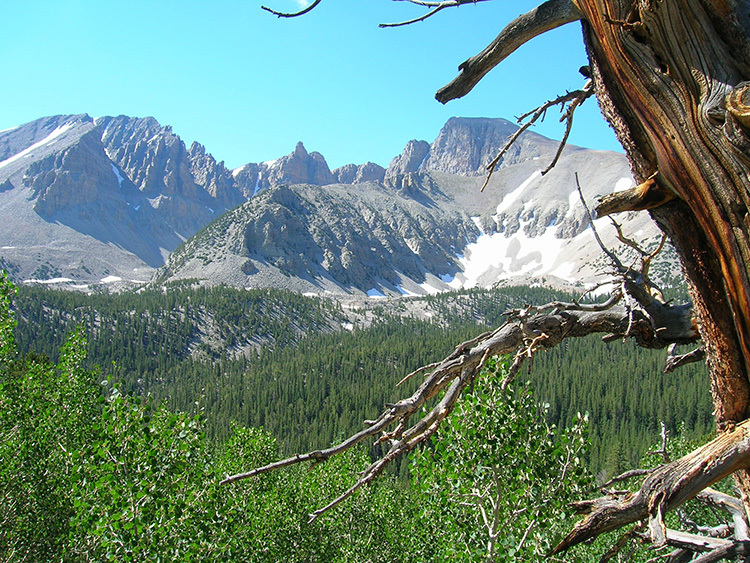 While the base of Great Basin National Park is decidedly desert-like, to get to Wheeler Peak Campground, it’s necessary to traverse a 12-mile, winding roadway with an eight-percent grade, to get to an elevation of 9,886 feet. Once you’re there, a cool, mountain oasis awaits, with plenty of hiking trails amid Alpine forests. Bonus: Your nights will be crisp and cool at this elevation. 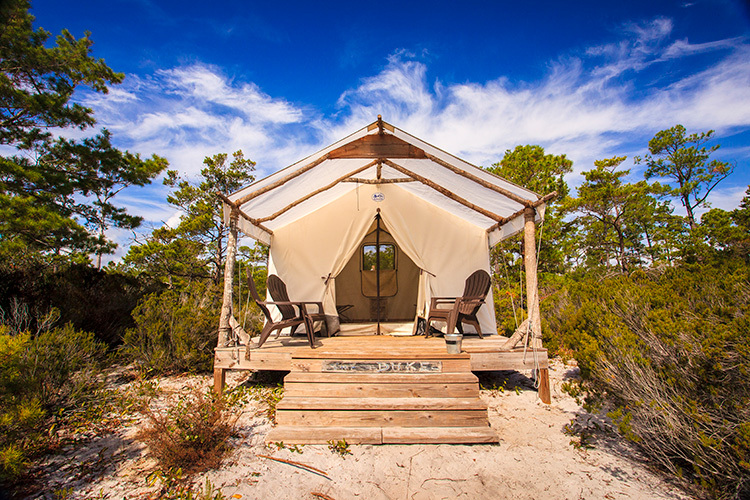 Beachside camping is the way to go in the Southeast in summer, and it’s hard to beat Alabama’s white sand beaches. They call them ‘sugar beaches’ for good reason. Gulf State Park offers classic car and RV camping, within easy reach of Gulf Shores’ many dining options, nature trails, kayak and paddle board centers, and swimming beaches. Bonus: Paddle board with dolphins at nearby Orange Beach. If you want to spend a holiday on Cape Cod but failed to procure a beach house rental, Shawme-Crowell may even surpass your expectations. A campsite here comes with beach access daily, plus paved bike trails and mountain biking trails. 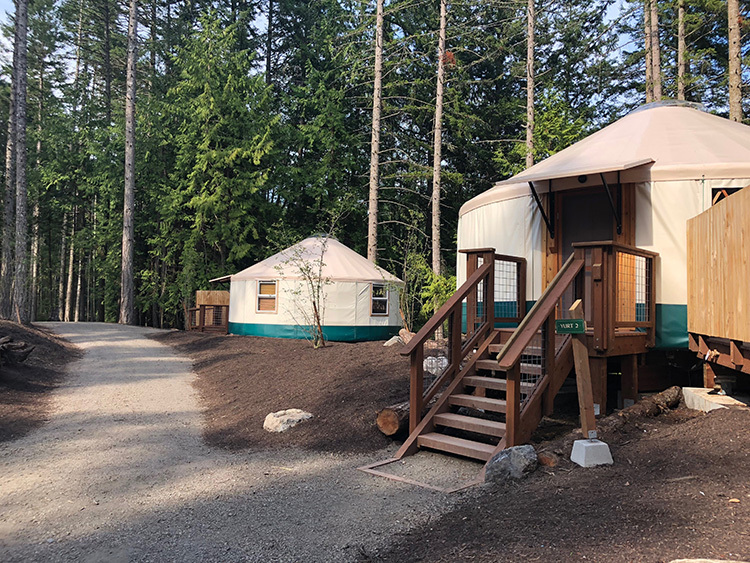 Bonus: You can even book one of the campground’s six yurts for a little more luxury. Here are four essentials guaranteed to keep you cool this summer. Rugged cooler: You’ve seen these rugged, industry-grade coolers from Yeti, Pelican and Otterbox everywhere this summer, and for good reason. They’ll keep your food and drinks cool for days on end. Shade shirts: Available from ExOfficio or Columbia these shirts wick away sweat effortlessly, dry fast, and shade you from the sun. Worth the investment for those dog days of summer. Sun shade: For under $100, Eureka’s solar shade provides just enough protection at the beach or campsite, and is easy to tote, too. 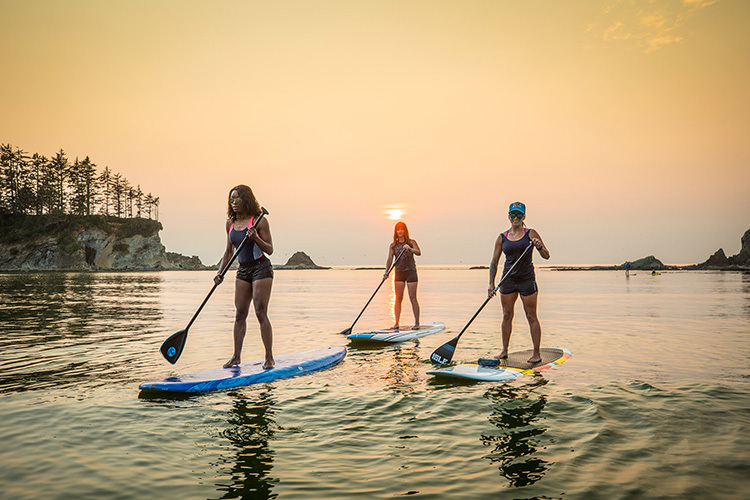 Tower paddle boards: You’re going to want to get on the water wherever you go, and Tower’s high-quality, inflatable paddle boards are easy to transport and perfect for lakes and rivers. Toss one in the back of the car. Believe it or not, Southern and Central Oregon get hot, hot, hot in the summer. But you don’t have to escape to the metropolis of Portland. 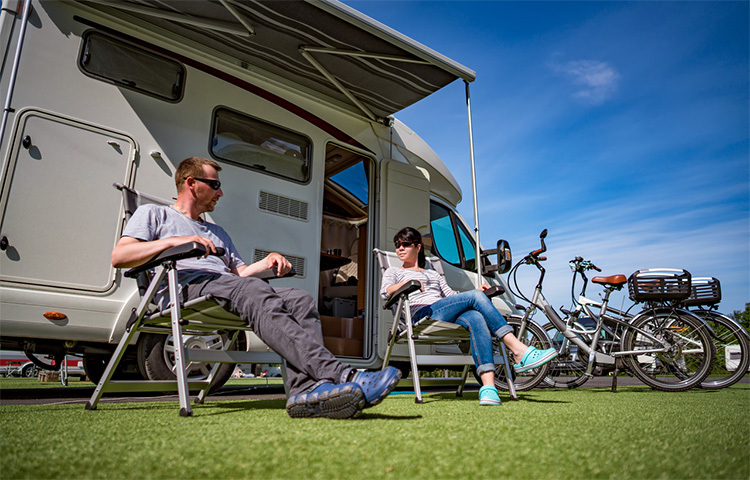 Any of Oregon’s numerous coastal campgrounds will provide respite from the heat of summer. Our favorite: Sunset Bay, located in on the central coast by the town of Coos Bay. In addition to a stunningly beautiful beach, Sunset Bay offers hiking trails to adjacent parks and yurt rentals. Bonus: The nearby Tenmile Lakes, located just off Highway 101 between Coos Bay and Reedsport, offer some of the best bass fishing in Oregon along with good fishing for perch, trout and some of Oregon’s best bullhead catfishing. 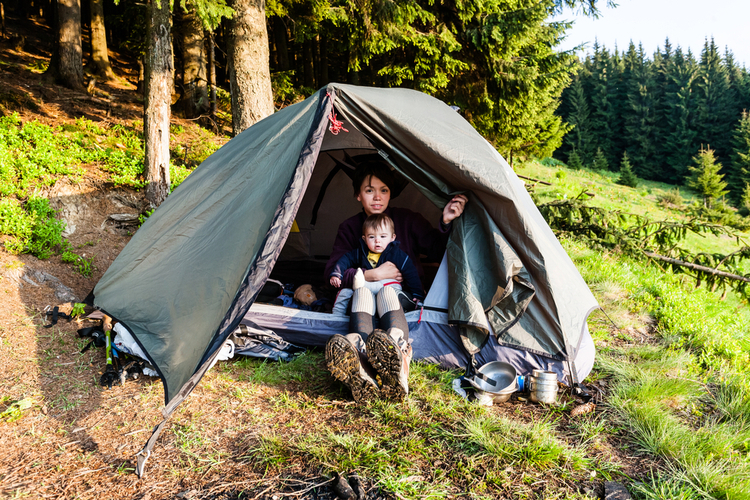 Quick Tip: For last-minute camping trips, opt for campgrounds in national forest regions that offer first-come, first-served campsites, as most state and national park campgrounds book well in advance. Yes, it’s a resort, but at its heart, Lakedale is still the humble campground of its early years, with unique car camping sites, canvas-sided tent cabins, and even luxury glamping options. Located on San Juan Island, Washington, Lakedale is situated, as the name suggests, on three small lakes, all of which invite water sport play and swimming. If that’s not enough to cool you down, miles of shoreline await on this island, and thanks to the SJI’s position right next to Canada, the air temps stay pretty manageable. Bonus: Glimpse San Juan Island’s resident Orca whales in the summer season. If you can’t escape to the high elevation of the Rockies for your late summer camping trip, situate yourself in the heart of the Black Hills, instead. Custer State Park is larger than most national parks, and offers scenic drives, American bison viewing, multiple lakes, and challenging hiking. You’re at a high enough elevation to beat the heat, but also close to the historic towns of Deadwood and Keystone, not to mention that little monument called Mt. Rushmore. Bonus: A hike up Custer State Park’s Black Elk Peak (formerly Harney Peak) takes you to even higher elevation, where the views stretch beyond the state. Quick Tip: When car camping in the summer, freeze gallon jugs of water ahead of time, and use them as ice packs in your cooler. As they melt, you have ice water for drinking at your disposal, and you don’t have to find a place to discard thawed ice packs. The Midwest of the US can become sticky with humidity in the summer, which means you’ll want to retreat to the Great Lakes. 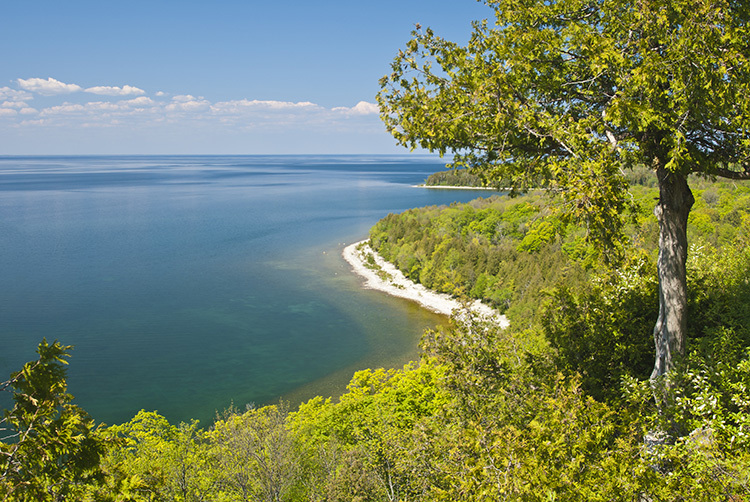 Peninsula State Park entices with eight miles of shoreline right on Green Bay. 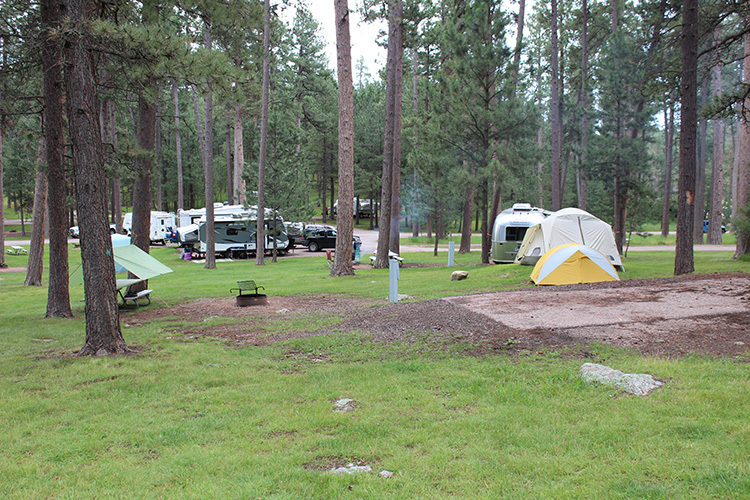 You have five different campgrounds to choose from, all of which offer easy access to boating and swimming. Bonus: Go during Wisconsin’s storied cherry-picking season and enjoy great deals at road side stands en route. Taking a trip to see Santa Fe, and perhaps the southern Utah national parks? Opt for air conditioning…until you get to northern New Mexico. Yes, New Mexico isn’t all desert. 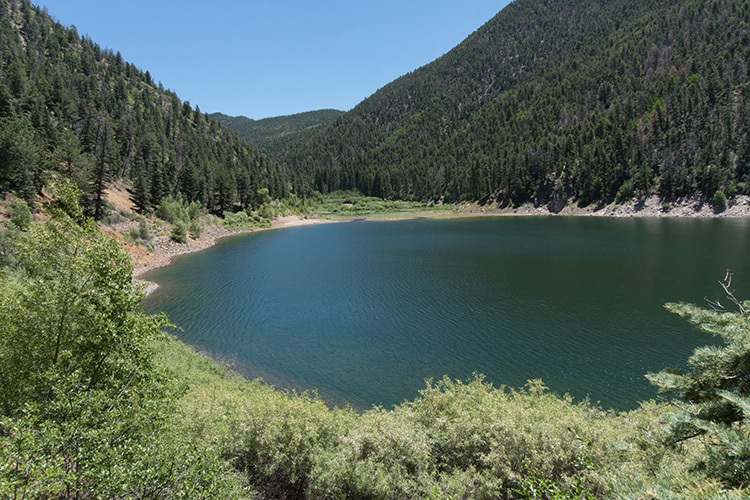 There are 35 different camping areas in Carson National Forest, ranging from primitive to backcountry to car camping; Langua Larga offers four campsites right on the water’s edge of a lake, with additional dispersed camping available. Bonus: The depth of this backcountry offers almost unlimited backpacking options for those seeking to get off the beaten path. We love that this remote campground on Isle au Haut, a rugged island off the coast of Stonington, Maine, is only accessible by mailboat. There are only five primitive sites (you’ll want to reserve well in advance). 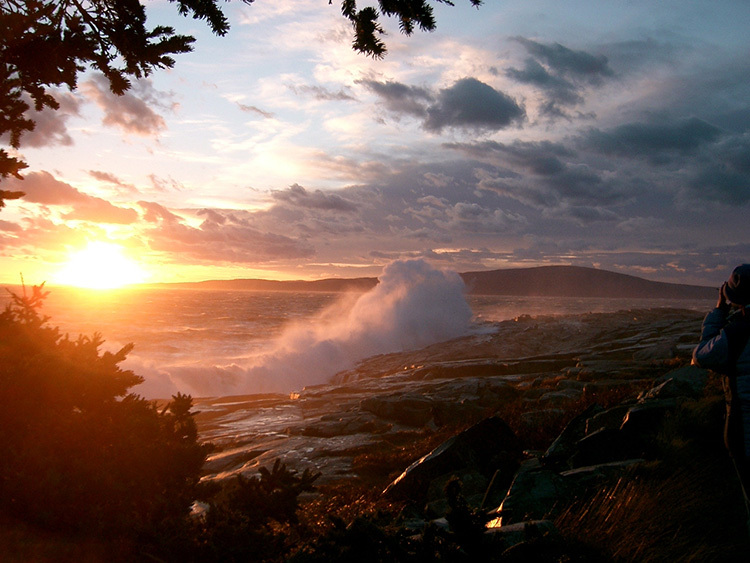 But just like the other Acadia National Park campgrounds, coastal Maine’s cool summer temps will be welcome. 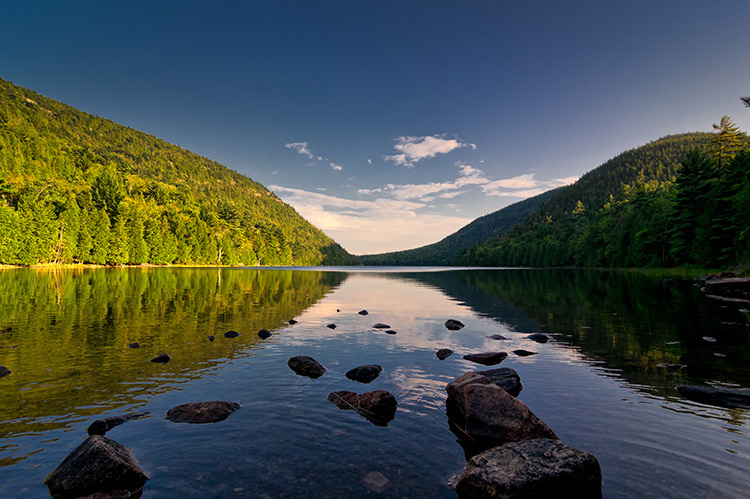 Bonus: The national park offerings on the mainland include all kinds of activities from scenic hikes to a network of carriage roads to explore by bicycle (rented from one of the many shops in the town of Bar Harbor).